East Sheen is only a short commute from London Waterloo and yet it provides its residents with plenty of green space and a village atmosphere. 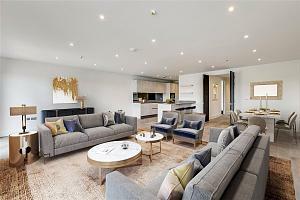 Sitting in the middle of the triangle of Barnes, Richmond and Putney, the area is popular with professionals and families but isn’t as well known as other areas of South-West London, keeping property prices more competitive. 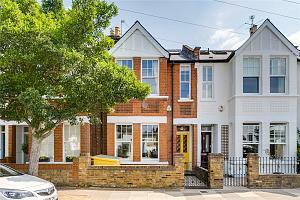 Properties in East Sheen range from period cottages to well proportioned post-war houses and flats. There are a select number of bars and pubs to enjoy in East Sheen. The Hare & Hounds is always a popular spot after work and at weekends with its large beer garden. During the week 40 Sheen Lane offers the commuters a place to stop by for a drink on their way home. In Parkside there is The Victoria pub and also The Plough, offering great food and pretty beer gardens in the summer. Many runners and cyclists take advantage of having Richmond Park on their doorstep. Bicycles can be rented from Roehampton Gate car park and the park has designated cycle routes for those wishing to explore the park. Runners are also well catered for as East Sheen has its own running club, the Sheen Shufflers, who run frequently in Richmond Park and offer training sessions to its members on a nearby running track in Barn Elms. There’s a multitude of other sports available to participate in, including golf, fishing, rugby, fitness ‘boot camps’ and even power kiting. Just along from Richmond Park is Palewell Common, offering tennis, pitch & putt and fitness classes for the local mums. 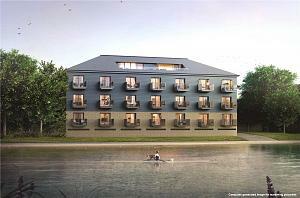 Nearby Mortlake is also the final point for the boat race between Oxford and Cambridge Universities and is a great day out for the family, with lots of places to cheer the teams on before coming to the finish line. East Sheen offers great shopping for everyone. There are boutique style shops, successful on a word of mouth basis, and also exceptional restaurants such as 40 Sheen Lane and the Lofty Turtle. There’s also the usual large coffee shop chains plus independent coffee shops to satisfy caffeine cravings. 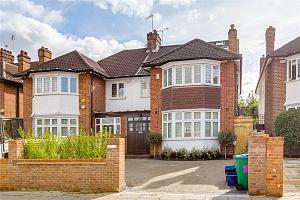 There’s plenty of variety and East Sheen caters to both families and single professionals. The schools in this area have an excellent track record of performing well in Ofsted studies. There is a wide range of primary schools within East Sheen including East Sheen Primary School, Sheen Mount, Thomson House, St Mary Magdalene’s and Holy Trinity. State secondary schools include Richmond Park Academy and Christ’s School. East Sheen does not have any underground stations however both Mortlake Station and North Sheen station provide a great service to London Waterloo and are a stop or two away from Richmond, where you can easily access the District Line and Silverlink service. The area is also well served by frequent bus services, running to Hammersmith, Putney, Richmond and Wimbledon. "East Sheen is a little known gem of an area with so many green spaces, outstanding schools, a lovely community and far better transport links than people first realise. Once discovered, people find it an area that’s hard to leave." If you are looking for a property in East Sheen, please get in touch by calling us or pop into our branch. 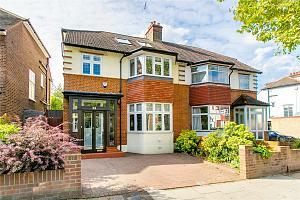 For more information, contact the local property experts in our East Sheen branch.